CVD Diamond is grown under low pressure, feeding varying amounts of gases into a chamber, energizing them, and providing conditions for diamond growth on the substrate. 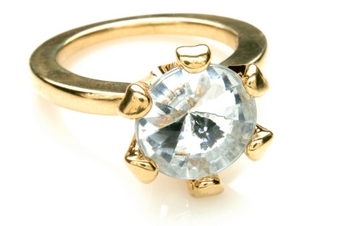 CVD stands for Chemical Vapor Deposition of diamond. It is a method used to produced synthetic diamonds by making the circumstances necessary for carbon atoms in a gas to settle on a substrate in crystalline form. This method of making synthetic diamonds helped three (3) Chemists of Mexico to win the Ig Nobel Prize in 2009. The researchers are: Javier Morales, Miguel Apatiga, and Victor M. Castano, for their 2008 published works on thin films of synthetic diamond, which can be produced from tequila using the process of Pulsed Liquid Injection Chemical Vapor Deposition (PLI-CVD). The process is put onto both silicon (100) and stainless steel 304 at 850 degrees C (1,560 degrees F). Certain types of diamonds are grown from different gases which includes a carbon source, and a hydrogen with the energy sources including hot filament (ionization gauge or device), microwave power (electromagnetic waves with wavelengths), and arc discharges (an electrical breakdown of gases, which produces an ongoing plasma discharge). CVD diamond growth has its advantages and its problems for the future: the advantages it has, is the ability to grow diamonds over large areas, on a substrate and control over the properties of the produced diamond. The problems for the diamond growth in the future is the heavily application- oriented, based from research, that continues to raise basic questions with little work done on them. Other problems with this diamond growth is that, even though, these diamonds can be grown over large areas, these areas are still too small for some applications, for instance, large scale transistor (small electronic device) manufacturing. CVD is the better method to produced these synthetic diamonds through semiconduct production, however, CVD electronic niche applications can not be produced, until large scale wafers can be efficiently produced. The cost of the synthetic diamond growth production is one of the biggest problems, so, cheaper alternatives are used, instead of CVD diamonds. Historically, the CVD diamond growth rate has been low, generally a few micrometers an hour. The growth rate in some specific applications has dramatically improved, however, most applications are still very slow. You will find synthetic diamond applications used for or in various products sold on the market. These applications are synthetic diamond coated solid carbide end mills used for medical, electronic and military tools. Tools, such as: the CVD Diamond Smooth Coated Square End, and CVD Diamond Smooth Coated Ball End are sold for reasonable prices online at: www.mtssup.com, by MTS Mfg, Inc. The synthetic diamond, though it is produced by CVD (Chemical Vapor Deposition), it has also been produced from processes called, HPHT (high-pressure, high-temperature synthesis) and the detonation synthesis. 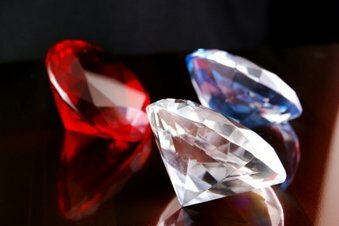 The CVD and HPHT synthetic diamonds can be cut into gems and various colors can be produced: yellow, clear white, brown, green, orange, and blue. 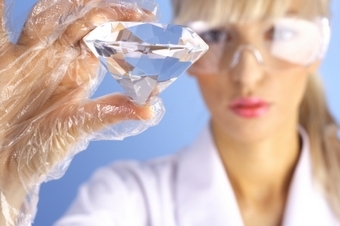 Synthetic diamonds appearance on the market created major concerns in the trading business. Special spectroscopic devices and techniques were developed to distinguish synthetic and natural diamonds. On the gemstone market, the mined diamond industry is evaluating marketing and distribution countermeasures because of the appearance of the relatively cheap synthetic diamonds. Public statements were made by the three largest natural diamond distributors about selling their diamonds with full disclosure of the individual history for the diamonds and have taken measures to laser-inscribe serial numbers on the gemstones.